Becky Prescott is the daughter of David Prescott and Kathyrn Thersa Stumpf. Andrew Joseph Watercott is the son of Ronald Joseph Watercott and Barbara Ann Stumpf. Allison Marie Watercott is the daughter of Ronald Joseph Watercott and Barbara Ann Stumpf. Benjamin John Watercott is the son of Ronald Joseph Watercott and Barbara Ann Stumpf. Sara Archer is the daughter of Steven G. Archer and Carol Mary Stumpf. Jon Archer was born circa 17 April 1982. He was the son of Steven G. Archer and Carol Mary Stumpf. Angela Stumpf is the daughter of Richard A. Stumpf and Patricia Bayerl. [S1863] Angela Stumpf, "Email from Angela Stumpf 29Apr2008," e-mail message from e-mail address (n/a) to Steven Harn Redman, 29 Apr 2008. Hereinafter cited as "Email from Angela Stumpf 29Apr2008." Richard Stumpf is the son of Richard A. Stumpf and Patricia Bayerl. Rhonda Marie Bayerl is the daughter of Timothy Earl Bayerl and Marilyn Elaine Stumpf. Robert Bayerl is the son of Timothy Earl Bayerl and Marilyn Elaine Stumpf. Kristen Kalahar is the daughter of Brian V. Kalahar and Julie Stumpf. Tiffany Kalahar is the daughter of Brian V. Kalahar and Julie Stumpf. Erin Jessica Flicker is the daughter of Michael John Flicker and Patricia Beverly Stumpf. Elizabeth Lauren Flicker is the daughter of Michael John Flicker and Patricia Beverly Stumpf. As of circa 1921,her married name was Nestaval. SOURCE: Stella Squires letter 4Aug1991. Her Social Security Number was 476-10-6875 issued in Minnesota. John Henry Detwiler Jr. was born on 13 June 1927 at Seattle, King Co., Washington.2,3 He was the son of John Henry (Harry) Detwiler and Helen Alberta Houser. John Henry Detwiler Jr. married Evelyn Claira Black. John Henry Detwiler Jr. died on 15 January 2014 at Hoquiam, Grays Harbor Co., Washington, at age 86.3 He was buried at Tacoma National Cemetery, Washington. John Henry Detwiler Jr. was a Shingle-weaver. Has three girls. Letter mailed to John on 16Jan94, unanswered. He lived in 2005 at 409 O St., Hoquiam, Grays Harbor Co., Washington. John Henry Detwiler, Jr., age 86, a longtime resident of Hoquiam, died on January 15, 2014, at his home in Hoquiam. Mr. Detwiler was born on June 13, 1927, in Seattle, Washington to John Henry and Helen Alberta (Houser) Detwiler. He was raised in the San Juan Islands of Washington State. He served in the Merchant Marines from 1941 – 1945 and in the U.S. Army from 1945 to 1954. Upon his discharge, he came to the Harbor where he had worked as a shingle sawyer for most of his life, but his custom rod business (Seahawk Custom Rods) was his trade. He was an avid fisherman, sports enthusiast, a loving husband, father, grandfather and great grandfather. His faith and his family were his greatest loves. 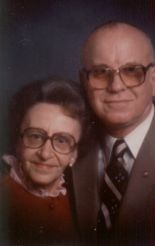 Surviving relatives include his children and their spouses, Timothy and Ruth Detwiler, Kari and Ed Hansen, Jodi Mathis, Traci and Alex Whitbeck and Nikki and David Stromire; brothers and spouse, David and Carol Detwiler, Harry Detwiler and Ted Detwiler; sisters, Barb Weaver, Gretchen Monteath and Doreta Gamilles; 11 grandchildren; 11 great grandchildren. In addition to his parents, he was preceded by his wife Evelyn Clara Detwiler; brothers, Donald Dean Detwiler and Larry Detwiler and his sister, Joyce Detwiler. A memorial service will be held at 1:00 pm on Saturday, January 25, 2014, at the Light and Life Community Church, 2740 Simpson Avenue in Hoquiam, with Pastor Brad Gill officiating. An urn committal service with military honors will be held at the Tahoma National Cemetery at a later date. Cremation arrangements are by the Coleman Mortuary in Hoquiam. [S972] John Henry Detwiler Jr., birth (unknown file date), Family History Library:, 35 North West Temple St., Salt Lake City, Salt Lake Co., Utah. [S2314] John Henry Detwiler, Jr., Coleman Mortuary, http://www.meaningfulfunerals.net/fh/obituaries/obituary.cfm?o_id=2384115&fh_id=10358&s_id=. Hereinafter cited as Coleman Mortuary. WA Birth Index listed name as Donald Dennis Detwiler. >>> Check if birth should be Snohomish, Snohomish Co., WA. He lived in 1991 at Route 1, Box 241, Soap Lake, Grant Co., Washington. Letter sent to address in 1/1994, returned, unable to forward. His Social Security Number was 531-20-4798 issued in Washington, last residence was Cle Elum, Kittitas Co., Washington, born 19 Aug 1928 and died 16 Oct 2001. Added to findagrave.com by Leslie Smith. Hereinafter cited as Find A Grave website. [S2258] Find a Grave Inc., Find a Grave, database and images (: accessed Mar 2014), Donald D. Detwiler (1928-2001) gravestone photograph, memorial no. 13344319, Meridian Cemetery, Kent, King Co., Washington, photograph © Leslie MITCHELL Smith, 2014. Johnson, Gregory - Of Bass Lake, WI Age 62 Formerly of St. Paul. Beloved husband and best friend to Patricia 'Trish'. Loving dad to Stacey (Gary) Paulsen and Tammy (Wayne Swanson) Johnson; devoted 'PaPa' to Alison and Mitchell Paulsen. Also survived by sister Ginger Comstock; bro-in-law Paul Comstock; and many nieces and nephews. His most treasured moments were spent with his family and especially his grandchildren. We will miss him. A GATHERING will be held Sat. from 1-3PM at the BEEBE MORTUARY, 112 W. 3rd St., New Richmond, WI. Beebe Mortuary 715-246-2154. [S2349] Gregory Johnson, Pioneer Press Newspaper, http://www.legacy.com/obituaries/twincities/obituary.aspx?n=Gregory-Johnson&pid=964664, 25 apr 2003. Hereinafter cited as Pioneer Press Newspaper. SOURCE: Geraldine Lien Nov1991. Adopted and raised by John and Antonia Nestaval. SOURCE: Jamie L. Nestaval letter 07Jun1992. As of 1928, Harvey Gregory Sklenar was also known as Harvey Gregory Sklenar Nestaval. On 1928 his name was legally changed to Nestaval. Harvey G. Nestaval was located in the National Archives Electronic Army Serial Number Merged File, ca. 1938 - 1946 (Box number 0257, Film Reel Number 2.114). His serial number was 17155530. He lived in 2004 at 1552 Charles Ave., St. Paul, Ramsey Co., Minnesota. [S1627] File Unit Title: Electronic Army Serial Number Merged File, ca 1938 - 1946, online http://aad.archives.gov/aad/record_detail.jsp?file_id=3475&data_layout_id=494&coll_id=null&table_id=893&tot_rec=1&pg=1&lmt=0&sort=rowid. Hereinafter cited as Electronic Army Serial Number Merged File, ca. 1938 - 1946. 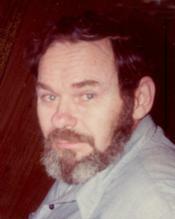 [S2398] Harvey Gregory Sklenar, birth 10694 (04 Aug 1922), Steven Harn Redman, 2633 N. 1600 E., Layton, Davis Co., UT. [S2013] OBIT: Harvey Nestaval, online http://www.tributes.com/show/Harvey-Gregory-Nestaval-92492488. Hereinafter cited as OBIT: Harvey Nestaval. Timothy Ellsworth Perkins was also known as Timothy Emmons Perkins.2,3 Timothy Ellsworth Perkins was a Farmer. Timothy Emmons Perkins married Betsey Sprague on Mar 1860.3 The cause of death was Prostatic Hypertrophy with retention of urine.4 Name in Death Record looked like "Timothy Emmes(?) Perkins or Timothy Emmons(?) Perkins. Tombstone at Hope Cemetery for Timothy E., lists 1833-1924. Obituary for Timothy E., says internment at Oakwood Cemetery. Timothy Ellsworth Perkins was a Methodist. Birth record for George, had Rhoda & T. Emmons Perkins as parents. History of Dakota and Goodhue Counties, MN, Vol II, 1910, pg 1048-1049. Timothy E. Perkins, living on section 16, Featherstone township, has gained a national reputation as an apple grower, his seedling apples having taken first prize at the annual meeting of the American Pomological Society, held at Boston, Mass., as well as the gold medal at the St. Louis Exposition in 1904. He was born in Franklin county, Maine, December 7, 1833, his parents being Timothy F. and Thirza (Ellsworth) Perkins, both natives of Maine. They came to Minnesota in 1862, and purchased land in Featherstone township, where the father engaged in general farming until within a short time of his death, where he returned to Maine and ended his days at the age of eighty-two years, having been a farmer all of his life. The mother took up her residence with her son, Timothy E., and died at the age of seventy-two years. Timothy E. attended the schools of his neighborhood, and there grew to manhood, remaining in his native town until about thirty years of age. April 13, 1864, he came to Featherstone, and for three years farmed in partnership with his father, afterward purchasing his present farm of 266 acres. On this place he has put many improvements, including a good house, well-kept barns and other buildings, and here he carries on general farming, stock raising and pomological pursuits. He is a Republican in politics and has served as treasurer of his township one term. He affiliates with the Methodist church and at one time was a member of the Odd Fellows. Mr. Perkins was married March 26, 1861, to Rhoda A. Boston, also a native of Franklin county, Maine. From this union eight children has resulted, six being now alive. Charles E. is an orange grower in Porterville, Cal; Fred O. is assistant general agent of the International Harvest Company at Sioux Falls, S.D; William J., like his brother, Charles E. is an orange grower in Porterville, Cal; George A. is a physician and surgeon at Dickens, N.D;Timothy L. works the home place and Thirza Etta is the wife of Britton G. Featherstone, of Featherstone township. Laura died at six years and Bertha at nine years of age. All the children except Charles E. were born in Featherstone township. He was born in Maine before the family came west. HISTORY OF GOODHUE COUNTY, published in Red Wing in 1878, has T.E. PERKINS, farmer, living at section 16, Red Wing. Following from A HISTORY OF GOODHUE COUNTY MINNESOTA, by C.A. Rasmussen, published in 1935. About 1895, T.E. Perkins began experimenting with various varieties of apples and soon developed an orchard which attracted general attention throughout the northwest. Mr. Perkins' orchard was of the seedling variety and his efforts were concentrated mainly along the line of developing winter apples. Four varieties which he propagated, Red Wing, Goodhue, Bayfield and Jumbo, are being handled today by nurserymen, which two others, Perkins and Rhoda, were propagated by his son, Timothy L. Perkins, who succeeded him in the work. The apples of Mr. Perkins, Sr., took first prize in the American Pomological Society exhibit in 1904, and were also awarded a gold medal at the St. Louis exposition. Following from the Red Wing Daily Republican Newspaper, page 4, column 3, 9Oct1924 (Thursday). Timothy E. Perkins, who gained national reputation as a grower of seedling apples, one of the best versed men in horticulture in the Northwest, a resident of Goodhue county for 62 years, and one of the finest personalities in this community, is dead. The end came at St. John's hospital, Wednesday afternoon at 5:45 o'clock, following a long illness. He was 90 years and 10 months of age. Mr. Perkins was born in Franklin county, Maine, on Dec. 7, 1833, his parents being Timothy F. and Thirza (Ellsworth) Perkins, both natives of Maine. They came to Minnesota in 1862 and purchased land in Featherstone township, where the father engaged in general farming until within a short time of his death, when he returned to Maine, and ended his days at the age of 82 years, having been a farmer all his life. The mother took up her residence with her son, Timothy E. and died at the age of 72 years. Mr. Perkins attended the schools in Franklin county and grew to young manhood there. When about thirty years of age he came to Featherstone township and farmed in partnership with his father, afterward purchasing a farm of 266 acres, which he developed into one of the finest of its kind in this section of the state. Here he carried on general farming, stock raising and pomelogical pursuits, taking an especial interest and meeting with unusual success in the development of seedling apples, for which he gained fame throughout the country. Many new strains of apples were put on the market by Mr. Perkins and he won prizes at great expositions and fairs by the showings of his seedlings. His seedling apples took first prize at the annual meeting of the American Pomelogical society, held at Boston, Mass., as well as the gold medal at the St. Louis world's fair in 1904. Mr. Perkins was united in marriage to Rhoda A. Boston, also a native of Franklin county, Maine, on March 26, 1861. The couple celebrated their golden wedding on March 21, 1911, and their 60th wedding anniversary on the same date in 1921. Mrs. Perkins passed away in November last year. Since her death; Mr. Perkins' health gradually failed, due largely to his grief over losing his loving helpmate. A Republican in politics, Mr. Perkins took considerable interest in government affairs. He served as treasurer of Featherstone township and was active in many worth-while movements in the community. Since retiring from farming several years ago, he had made his home in this city. He was a kind and charitable man, who had the love and respect of all who knew him. Greatly interested in church work, he took an active part in the affairs of the First Methodist church of which he had been a member practically ever since coming to this section. Five sons and one daughter are left to mourn his loss. They are: C.E. Perkins, Porterville, Calif; F.O. Perkins, Winona, Minn; W.J. Perkins, Porterville, Calif; Dr. G.A. Perkins, Dickinson, N. Dak; T.L. Perkins and Mrs. B.G. Featherstone, Featherstone. One sister, Mrs. Merritt Tripp, Bradley, S. Dak., is also left to mourn his loss. The funeral will be held Saturday afternoon at 1:30 o'clock from Swanson's Sons' chapel and at 2 o'clock at the First Methodist church, Dr. A.J. Northrup, officiating internment will be at Oakwood. Census 22 January 1920 Red Wing, Goodhue Co., Minnesota, Sheet 23, line 91; listed Timothy E. Perkins as 86 years old, living on West Fourth Street, house number 1309, in the 4th Ward of Red Wing. Census 1875 Featherstone, Goodhue Co., Minnesota, pg 288, as 41 yrs. [S973] Timothy Ellsworth Perkins entry, SOURCE: Goodhue Co , MN Death Record, Book 6, page 288, line 108, Goodhue County Courthouse, Red Wing, Goodhue Co., Minnesota. [S1632] Timothy Ellsworth Perkins, death 1924-MN-004765 (04 Nov 1924), unknown repository, unknown repository address. Hereinafter cited as Death Certificate - Timothy E. Perkins. Norman Kenneth Purdy is the son of Kenneth Alonzo Purdy and Marjorie Elenore Swedenburg. LAKE BENTON - Services for Robert Merlin McLaird, 80, of Lake Benton are at 10:30 a.m. Monday at Hartquist Funeral Home, Utoft-Johansen Chapel in Lake Benton. Visitation is one hour prior at the funeral home. Burial will be in Memorial Hill Cemetery in Lake Benton, with military honors provided by Henry Sollie American Legion Post 10 of Lake Benton. Hartquist Funeral Home, Utoft-Johansen Chapel in Lake Benton is providing the arrangements. He died Friday, Jan. 15, 2010, at Sunrise Manor Nursing Home in Tyler. He was born May 1, 1929, to Herbert and Dorothy (Purdy) McLaird at Red Wing. He was drafted by the U.S. Army. He was stationed in Germany from 1951 to 1953. [S2159] Robert McLaird, Marshall Independent Newspaper, www.ancestry.com, 16 Jan 2010, n/a. Hereinafter cited as Marshall Independent Newspaper. [S974] Guy Givin Thoen, unknown file number, Social Security Death Index (b- 23Jun1895 d-Apr1979), unknown series (n.p. : n.pub.). [S1570] Guy Givin Thoen, unknown file number, Social Security Death Index (b- 23Jun1895, d- Apr1979), unknown series (n.p. : n.pub.). Ancestry.com. Minnesota Death Index, 1908-2002 (database on-line). Minnesota Department of Health.. Hereinafter cited as Minnesota Death Index, 1908-2002. Original data: See cemetery name and location provided with each entry.
. Hereinafter cited as Minnesota Cemetery Inscription Index, Select Counties Township: Red Wing. Dianne Wren is the daughter of Victor Wren and Virginia Edna Adler. Ronald George Nelson is the son of George Alrich Nelson and Dorothy Jeanette Adler. [S975] Paul Bradley Purdy, A branch of the Purdy family descending from David and Eliza Ann Purdy with David's line from Francis Purdy of Fairfield 1595-1658, pg 9-10, birth as 03 Jan 1937 (n.p. : n.pub., c1962). Hereinafter cited as The David Purdy Family. Judith Ann Nelson is the daughter of George Alrich Nelson and Dorothy Jeanette Adler. [S977] Judith Ann Nelson entry, birth, Goodhue County Courthouse, Red Wing, Goodhue Co., Minnesota. [S978] Dennis Robert Seiz entry, birth, Goodhue County Courthouse, Red Wing, Goodhue Co., Minnesota. Kathleen Frances Anderson is the daughter of James Edward Anderson and Grace Ann Seiz. 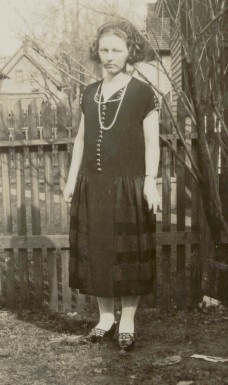 Marlene Carol Anderson is the daughter of James Edward Anderson and Grace Ann Seiz.